I’ve been looking forward to the March Issue!! Map projections are something I’ve never really spent a lot of time thinking about in relation to fantasy maps. I have however, always admired the projection maps produced by Ralf Schemmann (of Profantasy) on his Jhendor site. So a whole issue devoted to different types of projections looks like a great challenge to take up. A long time ago I did sketch some climate maps of the main campaign area of Tolrendor, and when I dug these out, I discovered these covered from about 35-60 degrees latitude, pretty much the same as the main part of continental Europe. I guess at one point I must have deliberately designed this, as when I calculate out the distances, Tolrendor ends up pretty much the same as our Earth! Which means, if I am going to create a realistic map projection of Tolrendor for this month’s Challenge, I’ve got a lot of landmass to design!! Great, an excuse to play with another Profantasy application that I’ve had for quite a while, but never used: Fractal Terrains. This tool allows you to generate realistic looking ‘worlds’ using fractals, and then export them to CC3. 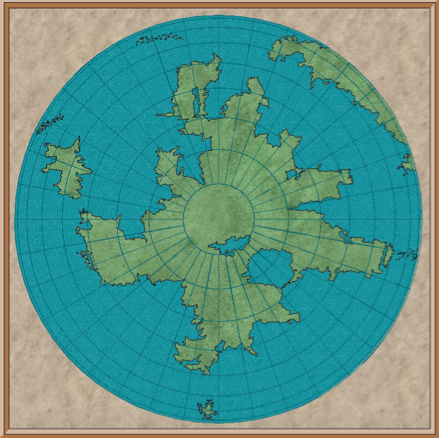 My plan is to see if I can fuse my own hard-created landmasses with some generated ones to come up with a ‘globe’ map! Of course, if you want to join in with the Challenge, please do: simply post and link to your work in the comments below. Happy Cartography!! This entry was posted in Cartography, Columns, The Annual Challenge, World Building. Bookmark the permalink. Creative post ! I was enlightened by the details . Does someone know where I would be able to obtain a sample PA DPW Provider Enrollment Base Application document to fill in ?